Who let me have a smartphone? But I’m going to two conferences in unfamiliar places this summer, and I don’t particularly want to get lost in Alaska or Brazil. So I got a smartphone. And now I have a camera in my back pocket all the time. Not surprisingly, in my hands this has mostly yielded pictures of birds. 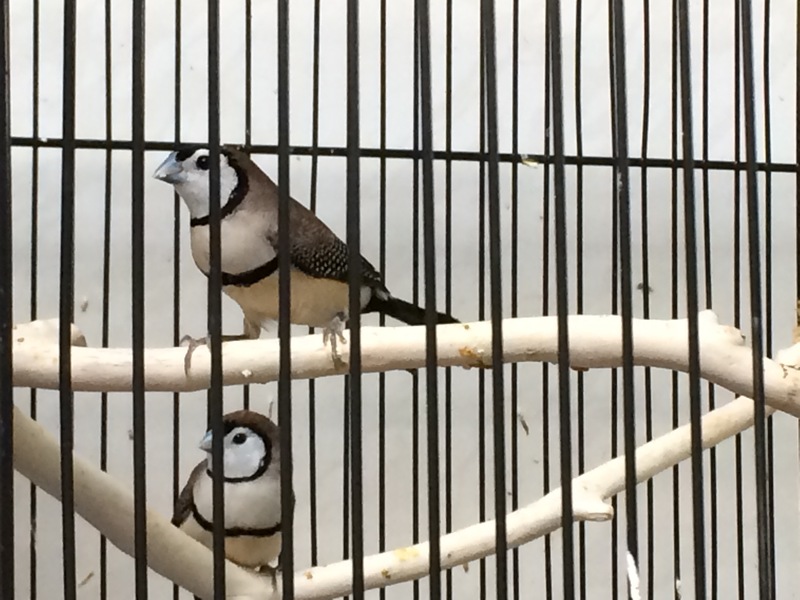 Owl Finches at the local pet store. 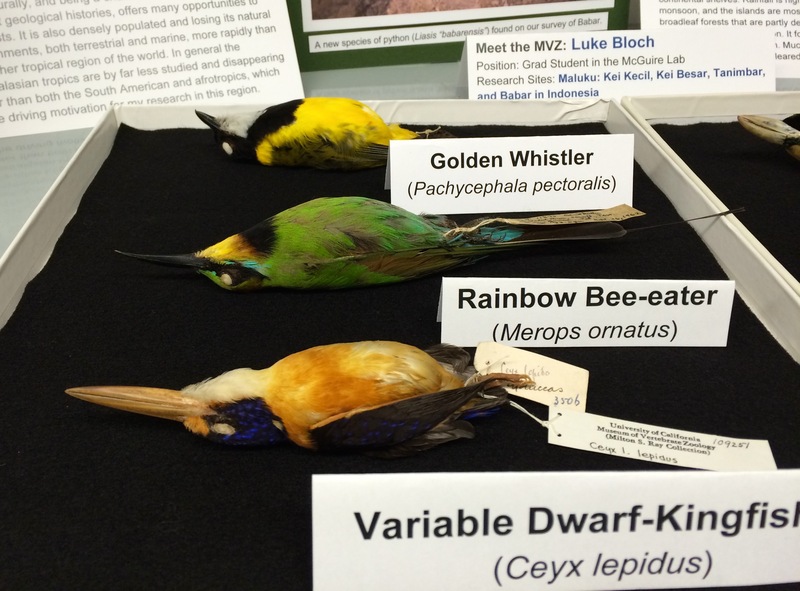 Display of birds at Cal Day, the one day a year (today!) that the museum opens its doors to the public.